The best deals are not always the quickest to close, as Teva Pharmaceuticals learned in 2016 after its much-lauded acquisition of Allergan’s generic business, Actavis Generics. In its acquisition of the firm, Teva’s dealmakers coupled two leading generics businesses with complementary strengths, research and development capabilities, product pipelines and portfolios while matching their geographical footprints, operational networks and cultures. Although regulatory reviews lengthened the deal, those timeline delays ensured a smooth and seamless transition between companies, resulting in improved operational capabilities and efficiencies and a harmonious ‘day one’ transition that transformed Teva into the largest global generic pharmaceutical company in the world. Generics drugs are low-cost copies of expensive, branded drugs. Today, Teva’s generics division is a $14-15bn pro forma revenue company, with nearly 16,500 employees operating in 80 markets. It utilises the most advanced research and development capabilities in the generics industry. Following its acquisition of Actavis, Teva now has around 340 product registrations pending FDA approval and holds the leading position in first-to-file opportunities, with approximately 115 abbreviated new drug applications pending in the US. In Europe, after divestitures, Teva will have a pipeline capable of sustaining over 5,000 launches. In Teva’s growth markets, including Asia, Africa, Latin America, the Middle East, Russia and the Commonwealth of Independent States, there are now approximately 600 pending product approvals. Overall, Teva is planning 1,500 generic launches globally in 2017. The story of the deal began in July 2015, when Teva announced the acquisition of Allergan’s generic business for a total consideration of $40.5bn, consisting of $33.75bn in cash and approximately 100 million Teva shares. The $33.75bn cash component was to be funded through a combination of equity and debt financing, and was backstopped by a $33.75bn bridge loan facility. In late November 2015, Teva announced a public equity offering of approximately $6.75bn, consisting of $3.375bn of its American Depositary Shares (ADSs), each representing one ordinary Teva share, and $3.375bn of its Mandatory Convertible Preferred Shares (MCPSs). The outcome was an additional 54 million ADSs priced at $62.50 each, significantly above the 30-day average price, and 3.375 million seven percent MCPSs at $1,000 per share. Significant demand led to a three-times oversubscribed common equity order book and 1.8-times oversubscribed mandatory convertible preferred shares order book. Shortly thereafter, the offering’s underwriters exercised in full their option to purchase an additional 5.4 million ADSs and 337,500 MCPSs. As a result, approximately $7.4bn was raised from this public equity offering. The decision to split the offering between common and preferred shares was driven by a desire to deepen demand and offer investors an additional and unique investment vehicle. In July 2016, Teva issued a multi-currency bond offering in the US and Europe for a total notional amount of $20.4bn at a blended rate of 2.17 percent. The combined bond financing represented the second largest debt offering ever in the healthcare sector, and the fifth-largest corporate debt issuance ever. The decision to split into two road show teams – one led by CEO Erez Vigodman, and the other by CFO Eyal Desheh – was instrumental in the company’s success in meeting with over 260 global investors, and driving 4.3-times and 6.4-times oversubscribed order books in the US and Europe respectively. While one team marketed and priced the US deal, the other began marketing in Europe. The US team then flew overnight to join the marketing effort, before meeting up to price the euro and Swiss franc offerings in the following days. The $20.4bn that was raised in combined capital across three currencies in three days is evidence of credit investors’ commitment to Teva’s long-term strategy. To complete the financing, Teva also put in place a $5bn term loan with a group of global relationship banks. Teva’s strong credit rating and disciplined financial policy were key to providing the financial flexibility and wherewithal to access capital markets across a range of financial instruments, in both jumbo size and at historically attractive terms. The acquisition’s close was delayed due to an extensive antitrust review and requested divestitures. The deal was then approved just over a year later in August 2016. 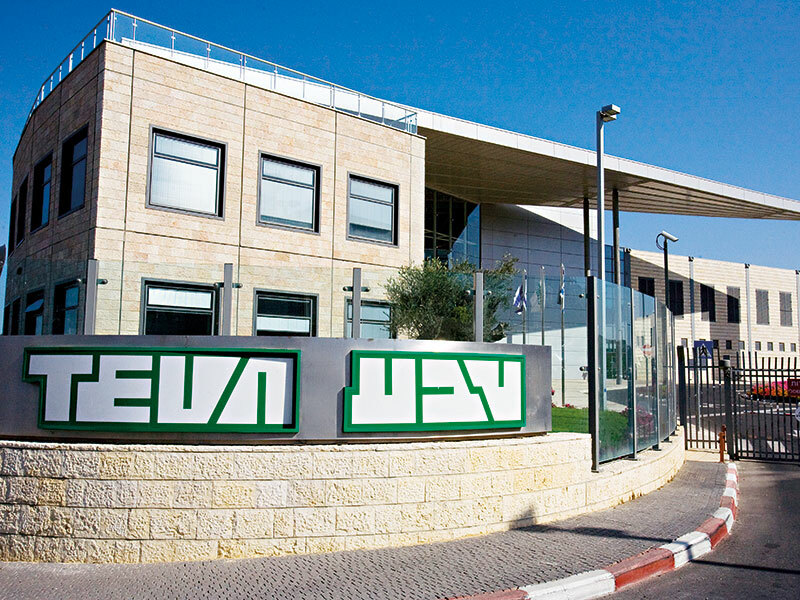 The resulting firm positions Teva as a top three generic pharmaceutical company in over 40 markets, offering more than 16,000 different products to patients around the world. Teva sells approximately 120 billion dosages per year, or nearly 20 tablets for every person in the world. Throughout the Actavis deal, Teva focused on building a strong financial foundation, while also examining new ways to introduce increased efficiencies from existing assets. Recent network optimisation and efficiency improvements have delivered tremendous value across Teva’s global generics business, which has proven to be a key strength. Additionally, a strategic decision to focus on larger markets, coupled with the larger scale of delivery offered by Actavis, has significantly improved the efficiency of the overall business. Cost synergies and an intelligent acquisition, while important, are not the whole story. 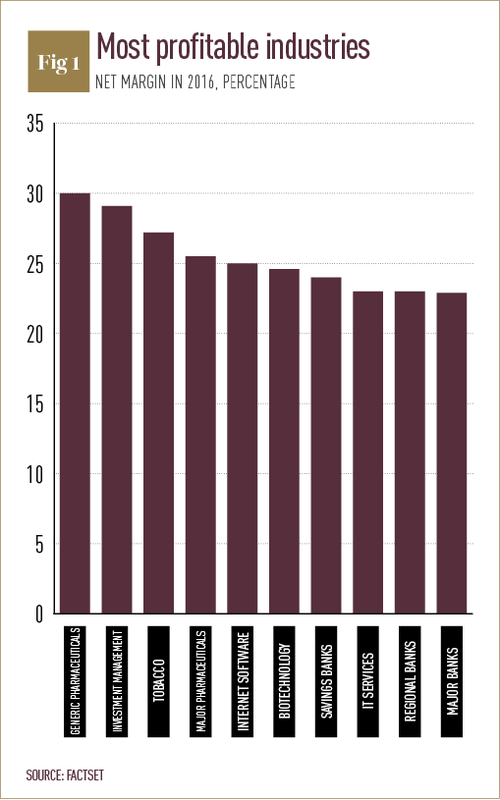 The generics industry remains one of the most attractive in the world in terms of profitability and investor returns (see Fig 1), but its contribution to healthcare systems and societies across the globe represents its key mission. Worldwide, governments – as well as other public and private players – are struggling with increased healthcare costs. Generic medicines are a crucial part of the solution. With an older population, increasing instances of chronic disease and the changing landscape of the middle class has meant that, for billions of patients, their healthcare must be delivered at the highest quality standards while presenting an ever-improving value proposition. The transaction between Teva and Actavis Generics transformed the playing field by combining two of the industry’s best generic companies in a way that brings tremendous healthcare savings for patients globally. According to the 2016 Generic Drug Savings report produced by the Generic Pharmaceutical Association (GPhA), nearly 3.9 billion of the 4.4 billion prescription drugs distributed in the US during 2015 were not brand name drugs, but instead the FDA-approved generic equivalent. In a recent report, GPhA noted that generic drugs represent 89 percent of prescriptions dispensed in the US, but make up only 27 percent of total drug costs. This presented more than $227bn in 2015 savings to the US healthcare system, and more than $1.46trn of savings between 2006 and 2015. Teva’s recent Actavis acquisition proves there is strategic power in smart mergers. A thoughtful acquisition that introduces new capabilities and global efficiencies can create the foundation for positive growth for a pharmaceutical company, while also benefiting the patients it serves. Teva’s acquisition of Actavis will improve speed to market, introduce new market capabilities and create innovative platforms for growth, all of which will prove to be essential tools as Teva works to serve unmet medical needs in the therapeutic areas of respiratory problems, movement disorders, pain and neuro-degeneration. This deal positions Teva to compete aggressively on commodity products while simultaneously contending with some of the most complex products in the world, thanks in large part to the firm’s extensive manufacturing network and the high standards it meets. That commercial breadth, coupled with a strong market scale and operational network, will consistently deliver high-quality products on time. Every day, Teva serves 200 million patients through the largest portfolio of drugs in the world, with one of the largest, most competitive, fully integrated, operational networks in the industry. This portfolio enables Teva to maintain its role as a transformative healthcare company that delivers ever-improving value to our shareholders, healthcare systems and patients around the world.